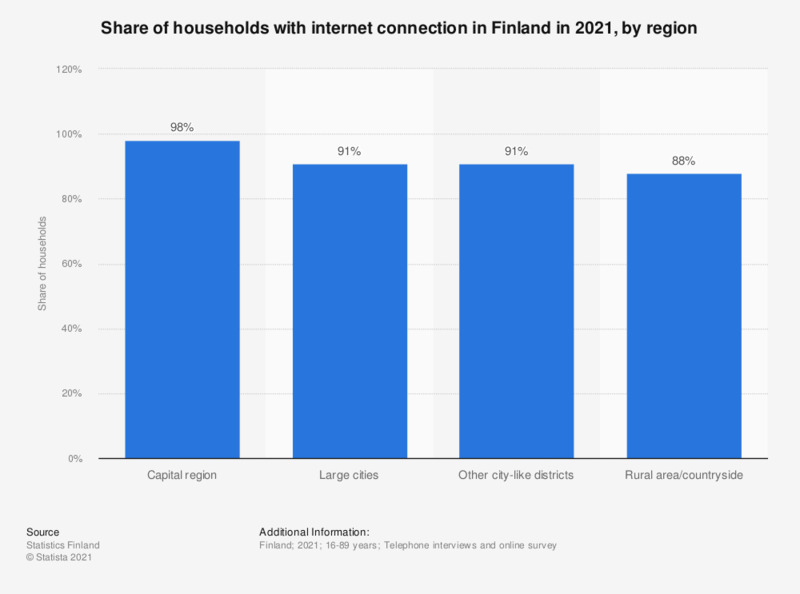 This statistic shows the share of households that have an internet connection in Finland in 2018, by region. 94 percent of the households in the capital district area had an internet connection. The corresponding figure for households in other city-like districts was 90 percent.